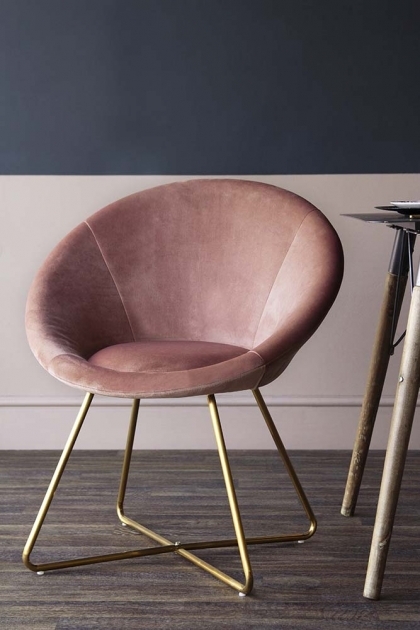 The Grand Velvet Circular Dining Chair is uniquely versatile. The perfect statement armchair, dining chair, office chair or dressing room chair, this gorgeous and glam furniture piece can be re-purposed in your home. Part of the RSG exclusive Easy Elegance Furniture Collection The Grand Velvet Circular Dining Chairs will see the resurgence of classical velvet materials with a modern twist and looks as though they belong in a New York restaurant or hotel! Soft to touch and oozing luxurious glamour the Grand Velvet Circular Dining Chair in a sophisticated Rose Pink will demand the eye and elevate your interior design in an instant. 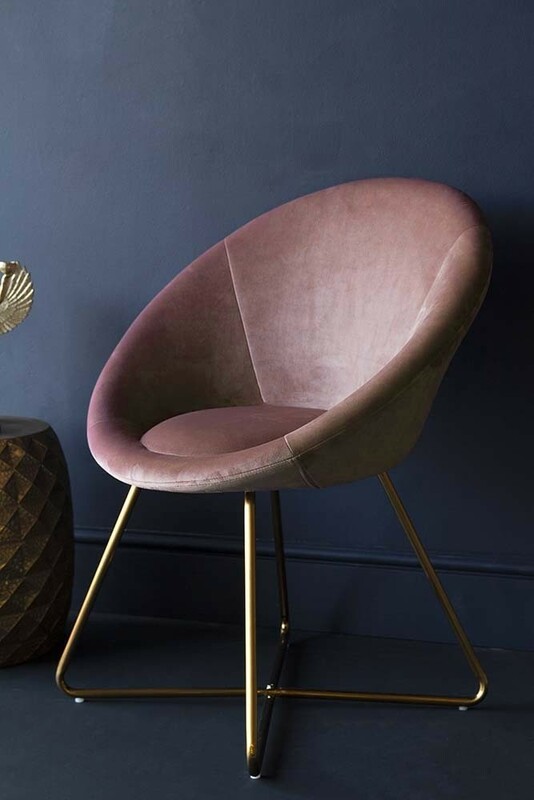 Featuring a soft velvet pod/circular shape armchair with curved arms for added comfort and stylish golden chair legs, we think that the Grand Velvet Circular Dining Chair is perfect for relaxing in with an espresso martini … or two! You could also use it as a unique dining chair to add unique glamour to your dining room. 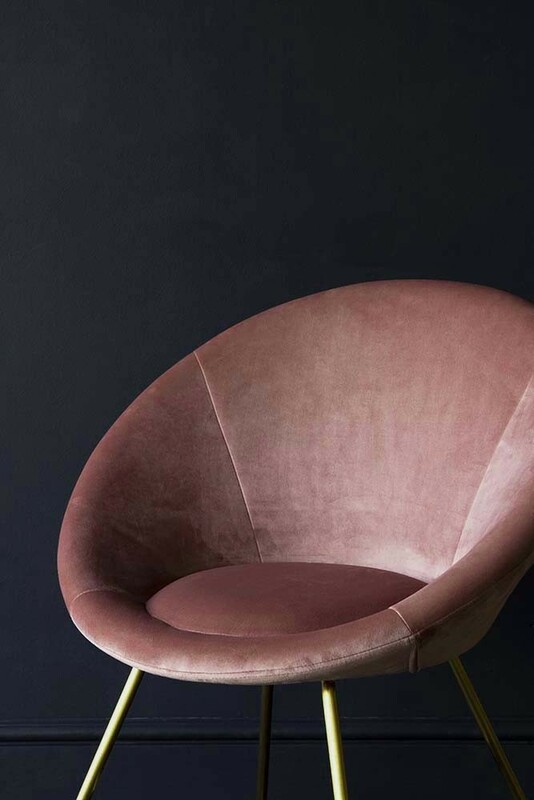 Made to a high and ethical standard the Grand Velvet Circular Dining Chairs are exclusively curated in a range of rich tones from Rich Green and Rose Pink and is also available as Bar Chairs, Bar Stools and Dining Chairs. As with all our furniture, we highly recommend that you measure up your dining table space to ensure that these chairs will work in your home.